The Great Lakes–at the U.S. and Canadian international boundary–are the planet’s largest system of freshwater (Government of Canada, 2016). The five Great Lakes (Lakes Superior, Huron, Michigan, Ontario, Erie) represent more than twenty percent of the world’s freshwater supply (Canadian Geographic, n.d.). This oft-repeated axiom, however, is somewhat misleading. A mere one percent of the waters of the Great Lakes are renewed each year in rain and snow-melt (Government of Canada, 2016). This supply cannot be carelessly utilised without destroying the stock. Freshwater systems are not inherently sustainable; water abundance is a myth. Recent record low levels in three of the five Great Lakes have leaders to lawmakers to environmentalists sharing the common interest of conservation and restoration in the basin (Boyce, 2016). Nevertheless, a small Wisconsin city narrowly outside the basin is thirsty for Great Lakes water. Waukesha’s 70,000 residents can no longer drink from the city’s depleted aquifer. What little water remains is contaminated with naturally occurring cancer-causing radium. Though Waukesha is outside of the Great Lakes watershed, the city’s engineers can almost taste Lake Michigan’s water – they just need a pipeline or two. Certainly, one small city’s request for water beyond the Great Lakes watershed does not seem significant, but is it? What does this mean for the Great Lakes basin? And perhaps more poignantly, what does this potential test case mean for other thirsty American cities in the context of a changing climate? More than 35 million people rely on the five Great Lakes (NOAA, n.d). Another 70,000 people drinking from a straw (or rather, a pipeline) seems somewhat inconsequential. The concern, therefore, is not necessarily about Waukesha; the concern is about who might be next. Las Vegas? San Francisco? Nearly all states west of the Rockies have experienced “abnormally dry” to “exceptional drought” conditions in recent years (USDA, 2017). It seems Waukesha could be poised to become a precedent-setting test case for moving water beyond the basin. Water vaulting is nothing new – the Los Angeles Aqueduct, Qaraqum Canal, South-to-North Eastern, and South-to-North Central are just a few very large water diversions that immediately come to mind. Nonetheless, freshwater scarcity is a global problem just beginning to touch North America. Climate change impacts on freshwater supply and quality will undoubtedly intensify in coming years. Changes in precipitation patterns, increases in temperature, evaporation, and sea level rise will continue to threaten lakes, rivers, and coastal areas. While climate scientists are quick to point out that no single event can be attributed to climate change, extreme weather events are increasingly the norm and society will be forced to adapt to these altered patterns. Understandably, adaptation is difficult. O’Neill and Graham (2016) note that adaptation decisions associated with climatic changes pose challenges to person-place bonds. In an era of changing climate and environmental quandaries, place attachments are at risk. While nobody wants to see Waukesha residents displaced due water travails, nobody wants to see the Great Lakes–one of the world’s most valuable resources–positioned for lackadaisical exploitation. To what degree have conservation efforts or alternate projects been considered in Waukesha? Despite the deserved reverence for this remarkable resource, and our obvious dependence on it, modern society has proven to be a poor caretaker of the Great Lakes in the recent past. Pollutants, toxins, eutrophication, sewage, wetland loss, invasive species, climate change, and over-extraction are all threatening the Great Lakes and the species who depend on them. Is it fathomable that a large-scale diversion project could be a future threat? Waukesha is just one thirsty city beyond the Great Lakes basin, but it begs the question: who will be next? Waukesha could be precedent setting for water woes and climate travails throughout the parched United States. Boyce, C. (2016). Protecting the integrity of the Great Lakes: Past, present, and future. Natural Resources & Environment, 31.2, 36-39. O’Neill, S. J., and Graham, S. (2016). (En)visioning place-based adaptation to sea-level rise. Geo: Geography and Environment, e00028, doi: 10.1002/geo2.28. What happened to the American geography department? Today, Dartmouth College remains the only Ivy League institution to maintain a distinct geography department. (c) 2015 Wikimedia Commons. Tim Hall et al.’s recent Area examination of the changing fortunes and distribution of British geography departments identified both shifts in scope and funding. The geography department was ‘neither stable historically nor universal in nature’, and has been subject to merging, reclassification, separation, and redistribution since the mid-1990s (p.58). This problem however is also the discipline’s trump card: inherently interdisciplinary, geography can stand on its own and be classified with other related disciplines without significantly threatening its future. The United Kingdom continues to dominate geographic research and study, leading most recognised international league tables (e.g., QS World University; THES). The 2013 ESRC-RGS-AHRC report into Britain’s standing within academic geography trumpeted the country’s extraordinary impact in primary (field) research, geographical theory, and GIS development, despite the fact that the number of free-standing geography departments dropped from 47 (1995) to 33 (2013). In sum, geography’s preeminent position in British higher research and education is guaranteed as long as further fiscal cuts are not implemented. Hall et al also noted other, mostly Commonwealth countries, where geography research and education has expanded or diversified since the end of the twentieth century. The situation is unfortunately vastly different in the United States. Despite longstanding efforts by the National Geographic Society and the American Geographical Society to expand geography education at the secondary- and university-levels respectively, geography remains a little-studied or even -understood discipline. At present it remains the only major academic field not to receive national education funding. As recently as 2010 the National Assessment Governing Board admitted the failure of American geography education. ‘The consequence’, they conceded, was ‘widespread ignorance of our own country and of its place’ in the world. World events change the situation little. This time last year, Kyle Dropp (Dartmouth), Joshua Kertzer (Harvard), and Thomas Zeitzoff (Princeton) surveyed 2,066 Americans on their knowledge of Ukraine and the Russian Federation. Eighty-four per cent could not identify Ukraine on a world map. The average answer, calculated from all guesses, suggested that Ukraine was located somewhere in Western Europe and the Mediterranean – over 1,800 miles from its actual position. Distressingly, they uncovered a direct inverse correlation between knowledge and support for US military intervention. The less likely participants were able to accurately identify Ukraine’s geographical position, the more likely they wanted Washington to intervene on Kiev’s behalf. In 1900, nearly all major American colleges and universities maintained active (even thriving) geography departments. 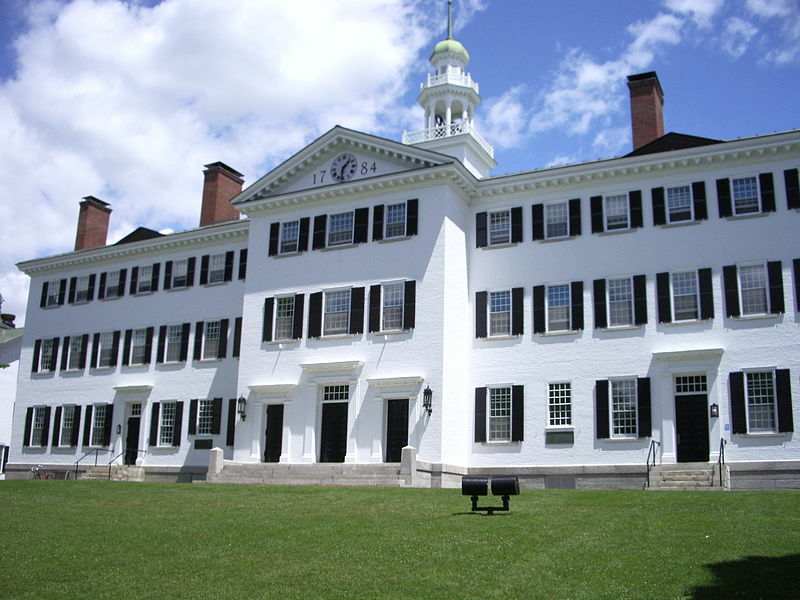 Today, only one Ivy League university – Dartmouth – still hosts an independent department, and few programmes still exist at private universities. The situation at flagship public universities has fared somewhat better, largely thanks to their role as ‘land-grant’ institutions. The University of California at Berkeley and Los Angeles, and the University of Wisconsin at Madison stand out as particularly internationally competitive programmes. This dilemma is all the more worrying when one considers the importance and impact of United States’ foreign policy. What accounted for this seismic change, particularly given the rapid expansion of international affairs programmes at the undergraduate and postgraduate level? In 1987 Neil Smith, then at Rutgers, examined the collapse of Harvard’s geography department following the end of the Second World War. Echoing Jean Gottmann’s declaration that the closure of the Harvard department was ‘a terrible blow’ from which American geography ‘has never completely recovered’, Smith recounted how Harvard president James Conant declared that ‘geography is not a university subject’, ignoring both British investment in the discipline and competing American universities own departments (159). Geographers on both sides of the Atlantic criticised Harvard’s decision, adding that the university had neglected the programme for at least a generation, crippling its scholarly output and the careers of its faculty even as knowledge of international studies, lands, and peoples rapidly expanded in importance. Other American private institutions soon followed Harvard’s decision to terminate the department. Yale’s programme dragged on – near death – until 1967; Pennsylvania incorporated theirs with Wharton Business School, only to close the department in 1963. Columbia’s department – easily the most prodigious of the Ivy League – finally ended in 1986 due to a lack of popularity and funding. The collapse of Columbia’s department evidenced the American geography education’s cyclical crisis: lack of investment in primary-level geography education led to little undergraduate or postgraduate interest in geography, which in turn led to calls for programme closures. A positive example, however, remains: the United States Military Academy at West Point continues to require its students to undertake courses in environmental, human, and scientific (engineering) geography, a tradition established with the introduction of French geographical and engineering methodology at the Academy’s founding in 1802. Tim Hall, Phil Toms, Mark McGuinness, Charlotte Parker, and Neil Roberts, ‘Where’s the Geography department? The changing administrative place of Geography in UK higher education‘, Area 47.1 (2015): 56-64. Roger M Downs, ‘The NAEP Geography Report 2010: What Will We Do Next?‘ Journal of Geography 111.1 (Jan., 2011): 39-40. Kyle Dropp, Joshua D Kertzer, and Thomas Zeitzoff, ‘The less Americans know about Ukraine’s location, the more they want U.S. to intervene’, The Washington Post, 7 April 2014. ‘Geography Framework for the 2014 National Assessment of Educational Progress’, National Assessment Governing Board, accessed 8 April 2015. Neil Smith, ‘“Academic War over the Field of Geography”: The Elimination of Geography at Harvard, 1947-1951‘, Annals of the Association of American Geographers 77.2 (Jun., 1987): 155-72. This entry was posted in Area and tagged education, geography, Higher Education, United Kingdom, United States on April 8, 2015 by Benjamin Sacks. 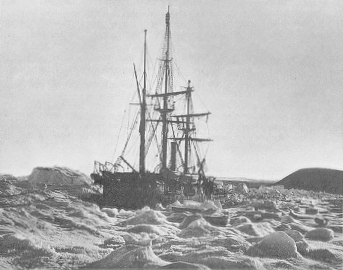 HMS Alert’s 1875-76 expedition to the Arctic. Courtesy Wikimedia Commons. Britain retains significant interests in the Arctic Ocean, according to a recently published commentary in The Geographical Journal. To the general reader, this point may be somewhat surprising: physical geography aside, the United Kingdom’s more famous interests in the South Atlantic and Antarctica tend to make headlines. The Cold War, in particular, popularised the Arctic environment as the preserve of Russia, the United States, and Scandinavia. In 2007 and 2010 the House of Lords formally discussed Britain’s supposed lack of a coherent and tangible Arctic policy, proposing that the House of Commons, the Foreign and Commonwealth Office, and the National Oceanographic Centre formulate at least a mission statement outlining British objectives in the region. Britain’s intimate relationship with Canada, and increasingly with Norway, have also been cited as key motivators to both expanding Arctic goals and defining the terms of Arctic activity. Various Parliamentary committees have discussed the possibility of establishing a powerful Arctic scientific research body similar in scope and size to the British Antarctic Survey. The Arctic has long drawn British explorers, entrepreneurs, strategists, and naval planners. The British Empire brought Canada’s vast Arctic territories into the public imagination, and the Second World War catalysed a strong bilateral British-Norwegian relationship which continues to the present. In the twenty-first century, this exploration- and defence-based relationships have been complemented with an increasing range of corporate and public interests, from environmental activism and scientific inquiry to petroleum and rare earth minerals exploration. Yet as of present, the British government has yet to publish or promote a formal Arctic policy. Duncan Depledge (Royal Holloway) suggests that this is because London remains concerned ‘about over-committing itself where the UK’s interests are often peripheral in relation to wider global concerns’ (p. 370). But as Depledge contends, Britain’s economic and strategic interests require a strong Arctic presence. From a defence point-of-view, Britain both retains and will need to increase its Arctic interests. 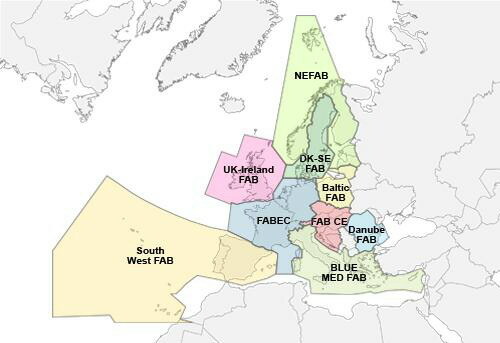 In a 2012 white paper authored for the United Royal Services Institute, Depledge and Klaus Dodds recalled their first-hand experiences observing a series of joint operations between Britain and Norway. Referring to it as the ‘forgotten partnership’, the authors stress Norway’s strong reliance and confidence in its North Sea neighbour to ensure the North Atlantic’s protection in the event of conflict. Physical geography also plays an important role: extreme weather training remains as important as ever for British forces. Scientific and corporate interests are no less important. Beyond never-ending Parliamentary quibbling over white paper naming and policy terminology (pp. 370-72), London has repeatedly claimed that it wishes to become a leader in environmental protection and rehabilitation. World Wildlife Fund, Greenpeace, and BBC Earth awareness programmes have accomplished significant strides in raising public awareness for ‘saving’ the Arctic from excessive human development. Ultimately, Depledge stresses the need for clarifying British Arctic policies across defence, scientific, environmental, and corporate spheres, as well as recognising Britain’s position as a non-Arctic state. Britain will need to work with Scandinavia, Russia, Canada, and the United States to seek common ground while respecting national interests. Duncan Depledge 2013 What’s in a name? A UK Arctic policy framework for 2013, The Geographical Journal 179.4: 369-72. Duncan Depledge and Klaus Dodds 2012 Testing the Northern Flank: The UK, Norway and Exercise Cold Response, The RUSI Journal 157.4: 72-78. This entry was posted in The Geographical Journal and tagged Antarctica, Arctic, BBC Earth, Biogeography, Britain, British Antarctic Survey, Canada, Climatology, cold war, Duncan Depledge, Earth Observation, Global Issues, Greenpeace, Klaus Dodds, National Oceanographic Centre, Norway, Parliament, Political Geography, Russia, Scandinavia, South Atlantic, United Kingdom, United States, World Wildlife Fund on January 20, 2014 by Benjamin Sacks. Margaret Thatcher (1925-2013). © Wikimedia Commons. 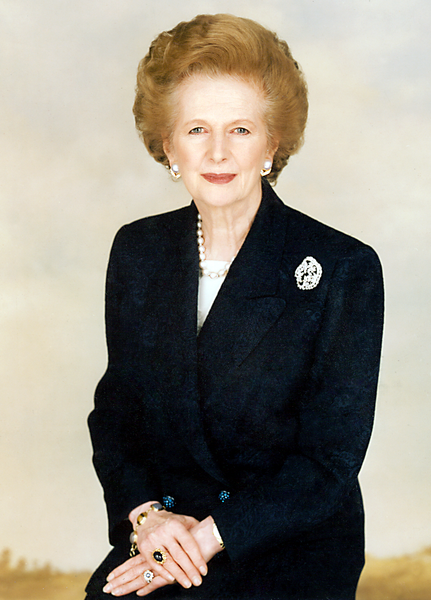 Irrespective of one’s opinion of Margaret Thatcher’s tenure as Prime Minister, few would disagree that her policies and legacies deeply impacted the British Isles, Europe, the former Soviet Union, and much of the developed and developing world. Her domestic and overseas endeavours altered our geographical focus, highlighting new lands, peoples, and conceptions of the world even while others faded from view. But this presents us with new, underlying questions: how, where, and why? To begin our investigation, one must go back in time, before Thatcher’s famed 1979 election, to 1973, a year that would symbolise heightened, competing tensions. That year, the United Kingdom, Ireland, and Denmark officially joined the European Community (later European Union, or EU). Britain’s ascession marked the end of a turbulent decade in colonial relations. Since the early 1960s, the country had pulled out of Kuwait, Aden, much of Africa, and the Caribbean. Increasingly, Britain’s economists, industries, and politicians looked to Europe and the United States for a solution. 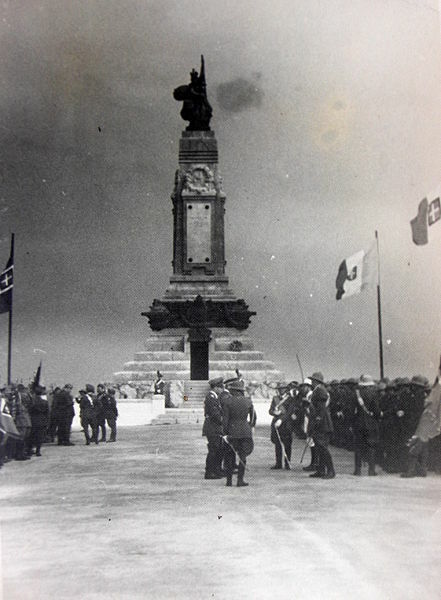 Watching Britain’s imperial retreat from his office in New Zealand, that year historian J G A Pocock called for a new approach to British history and international affairs, which he termed ‘New British History’. He sought to remind the British of their international responsibilities and legacies, their historically intimate and fluid relationships with the so-called ‘settler colonies’ – Canada, Australia, New Zealand, the British West Indies, and South Africa (India is often included as well) (p. 431), and pondered on where Britain’s path lay next. For early observers, the answer was unpredictable at best. What is most evident from this period was the Thatcher movement’s profound influence in determining where geographers would focus their attention and resources, as well as what areas slipped into relative negligence. 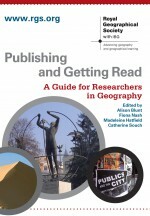 It is therefore possible to construct a geopolitical ‘roadmap’ of 1980s British geographical scholarship, demonstrating that, in an effort to maintain their relevance and avail themselves to the broadest possible audience, geographers, sociologists, anthropologists, and political experts largely published in lockstep with upcoming trends and changing situations at home and abroad. In the aftermath of the government’s struggle with mining unions, scholars took advantage of national attention on the North to publish a series of related studies. These articles, importantly, were not narrowly limited to union organisation, nor to mining, but rather sought to engage with broader geographical and ethnographic themes. In 1980, for instance, Alec H Paul and Paul Simpson-Housley published ‘The Novelist’s Image of the North’, reminding audiences of the region’s immense natural beauty and cultural clout. I M Evans stuck to a closer, geopolitical analysis in his examination of how the then-international steel crisis had affected other EEC states, rather than simply Britain. Two years later, John North and Derek Spooner returned to Northern England, to re-examine the wider implications of the Coal Board’s investment programme in the heavily-affected (and marginalised) Yorkshire, Nottinghamshire, and Derbyshire regions. The Falklands War directly catalysed a flurry of investigative discussions and scholarly explorations of the contested British territory. As a previous Geography Directions article discussed in detail, the war presented the RGS-IBG with a unique opportunity: to educate itself, the government, and the public about a series of islands that had already been in Britain’s continuous (but largely ignored) possession for over 150 years in 1982. Similarly, the United States’ invasion of Grenada – a Commonwealth Realm – in 1983 spurred a similar rush to, as Brian J Hudson suggested, ‘Put Grenada on the map’. In response to his September 1985 Area article, however, Rex Walford conducted a series of impromptu surveys with British and American audiences to determine whether recent popular and academic coverage of the invasion (and of the island more generally) had actually resulted in greater awareness of Grenada’s location, society, and affairs. The answer, Walford discovered, was certainly not encouraging. ‘At only one venue (a joint RGS/GA lecture at Hull) has a majority of the audience identified the island [of Grenada] correctly[! ]’ (p. 57). John S Brierley, then an associate professor of geography at the University of Manitoba, preferred a less humorous, more serious approach, arguing that the social and economic development programmes created by the People’s Revolutionary Government of Grenada, led by Maurice Bishop, should be closely examined to determine what lessons could be learned. He uncovered that some social welfare initiatives could prove quite useful in other Caribbean states. Writing nearly a decade later, Robert Potter recalled Brierley’s assessment, and reminded contemporary development anthropologists, geographers, and planners of how ideas gained from Grenada, brought by the RGS-IBG in the war’s aftermath to public attention, could be incorporated into current grassroots/NGO/small government schemes. Armitage, David, 1999, Greater Britain: A Useful Category of Historical Analysis?, The American Historical Review 104.2, 427-45. Paul, Alec H and Paul Simpson-Housley, 1980, The Novelist’s Image of the North: Discussion, Transactions of the Institute of British Geographers New Series 5.3, 174-84. Evans, I M, 1980, Aspects of the Steel Crisis in Europe, with Particular Reference to Belgium and Luxembourg, The Geographical Journal 146.3, 396-407. North, John and Derek Spooner, 1982, The Yorkshire, Nottinghamshire and Derbyshire Coalfield: The Focus of the Coal Board’s Investment Strategy, The Geographical Journal 148.1, 22-37. Hudson, Brian J, 1985, Putting Grenada on the Map, Area 17.3, 233-35. Walford, Rex, 1986, Finding Grenada on the Map, Area 18.1, 56-57. Brierley, John S, A Review of Development Strategies and Programmes of the People’s Revolutionary Government in Grenada, 1979-83, The Geographical Journal 151.1, 40-52. Potter, Robert, 1995, Urbanisation and Development in the Caribbean, Geography 80.4, 334-41. Sacks, Benjamin, 2012, (Re)Introducing the Falklands: The March 1983 ‘Geographical Journal’, Geography Directions, 18 February. This entry was posted in The Geographical Journal, Transactions of the Institute of British Geographers and tagged 1973, 1979, Alec H Paul, Brian J Hudson, British Isles, British West Indies, Caribbean, Commonwealth, Cultural Geography, David Armitage, Derek Spooner, Development, Economic Geography, EEC, EU, Europe, European Economic Community, European Union, Global Issues, I M Evans, J G A Pocock, John North, John S Brierley, Margaret Thatcher, middle east, New British History, Northern England, Paul Simpson-Housley, Political Geography, Prime Minister, Rex Walford, Robert Potter, Settler Colonies, Social Geography, Soviet Union, Union, United States on April 27, 2013 by Benjamin Sacks. As Hurricane Sandy hits the densely populated US eastern seaboard, commentators and pundits alike compete to depict local reactions and identify those populations who will be hardest hit. Much of the current concern stems from officials’ highly criticised response in the wake of Hurricane Katrina (2005), which devastated New Orleans and left at least 1,200 people dead. But, collection and analysis of valuable data on constituency responses, first-aid services, and suggestions for future defences against hurricanes has its own history. Sociologists, political scientists, and geographers have experimented with various field research methods. In 1855, Andrés Poey, of Havana, organised a list of some 400 hurricanes documented in various forms since Christopher Columbus’s 1492 trans-Atlantic expedition. He hoped, by publishing his tables in the Journal of the Royal Geographical Society of London, to advance awareness on hurricane theory: for it had ‘now been proved…that wind, in hurricanes and common gales on both sides of the equator, has two motions; and that it turns or blows round a focus or centre in a more or less circular form’ (p. 291). Nearly 150 years later, using techniques they had earlier tested in nuclear power accidents, in 1996 Donald J Seigler (Old Dominion University), Stanley D Brunn (University of Kentucky), and James H Johnson, Jr (University of North Carolina) documented their use of small focus groups to learn about hurricane responses and better react to future storms. In December 1992, six months after Hurricane Andrew slammed into Florida, the three researchers conducted several focus groups in the Miami area. They believed that their experiment was one of the first implementations of focus groups in post-hurricane emergency planning. Questions were organised around: ‘the pre-impact period’, or preparations for the hurricane; and ‘post-impact period’, or the storm’s psychological, physical, and social consequences. Seigler, Brunn, and Johnson delineated between ‘therapeutic’ and ‘parasitic’/‘exploitative’ responses – unified, communal support versus an “everyone for themselves” mentality (p. 127). The researchers concluded that focused, group discussion in post-disaster scenarios could provide information crucial to more rapid, comprehensive first aid. For an official U.S. estimate of casualties from Hurricane Katrina (2005), see here (p. 5). Donald J Seigler, Stanley D Brunn, and James H Johnson, Focusing on Hurricane Andrew through the Eyes of the Victims, Area 28 124-29. Andrés Puey, A Chronological Table, Comprising 400 Cyclonic Hurricanes Which Have Occurred in the West Indies and the North Atlantic within 362 Years, from 1493-1855: With a Biographical List of 450 Authors, Books, &c., and Periodicals, Where Some Interesting Accounts May be Found, Especially on the West and East Indian Hurricanes [sic], Journal of the Royal Geographical Society of London 25 291-328. This entry was posted in Area and tagged Andrés Poey, Christopher Columbus, Climatology, Donald J Seigler, Florida, Focus Groups, Global Issues, Hurricane Andrew, Hurricane Katrina, Hurricane Sandy, James H Johnson Jr, New Orleans, Stanley D Brunn, United States on October 30, 2012 by Benjamin Sacks.